OEM Orange5 V1.34 released recently with full packet hardware and enhanced version software,with 24 adapter, can work on Windows 7,Windows 8,Windows XP, I will show you much details of it as follows. 1.Orange5 is much lighter than Kess v2 or Ktag,so it is easy for operating and carring. 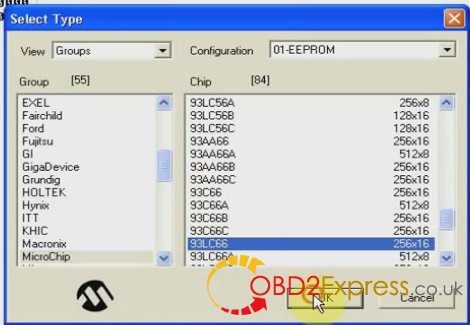 2.full packet hardware and enhanced version software,with 24 adapter. Here is the introduction on how to install OEM Orange5 V1.34. Caution: Disable local and wireless network connection. 1.Open my computer_E:/orange 5/orange 5/software/orange 5 v1.34, copy orange 5 v1.34 on desktop. 2.Insert a new hardware wizard, select ‘install from a list…’, click next to browse folder for desktop/orange 5 v1.34/driver, then click finish to complete installation. 3.Right click my computer, press manage/device manager/Universal serial Bus controllers/ORANGES USB, next you will see ‘Unplug orange 5 USB cable then…’, then click ORANGES USB again, and exit. 4.Open orange 5 v1.34_orange 5 icon, click options_Hareware, then see a popup ‘programmer options’,click test to test hardware, lastly click two ok to finish test. 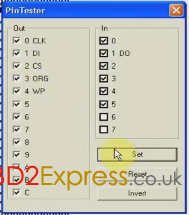 5.click right of ‘M’ icon to open ‘Select type’ window, choose configuration, group and chip, then click ‘R’ to read 93c66. 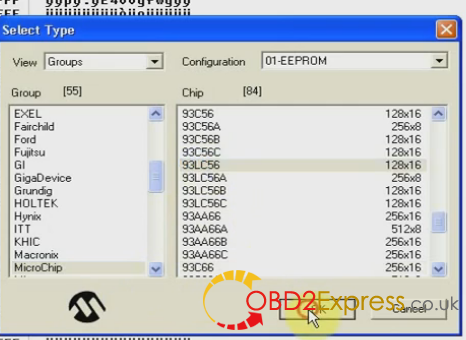 6.Open ‘Select Type’ again, choose chip and then click ok，next click ‘R’ to read 93LC56. 7. Open ‘Select Type’ and choose chip_93LC46, there is a hint ‘Do not choose the wrong chip’, click ok，go on clicking ‘R’ to read 93LC46. When ‘orange’ window pops up, click cancle, do it twice. 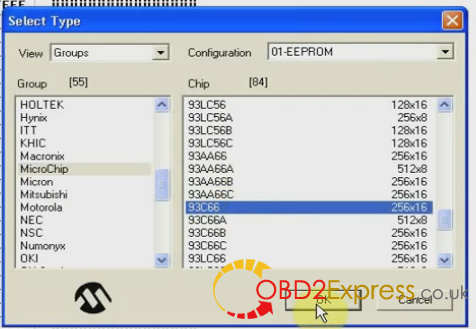 8.Click Select Type and choose chip 93LC66, click ok, then read it as before. 9.Save date into desktop/toyota1 folder, then click Erase on the right button, lastly click ‘R’ to read 93LC66. 11.Click ‘Buffer’ _checksum on menu bar, open’CRC’ and check data, then click ‘Tools’_Pin Tester to check imformation. 12. Click ‘Tools’_Calculator to check imformation, then click ‘options’_language to choose English. 13.Sure, you can select other type_ configuration, group and chip to test as you expect. I hope it is helpful to you! Thank you! Original Wellon VP598 universal programmer run faster than VP390, how much?